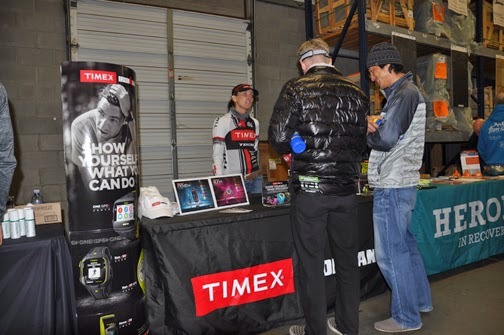 No races for me this past weekend, but I did have another big event - the Nashville Tri Club Expo. I'm on the Board of the NTC, and the expo is one of our premier events of the season - and I was the Chair for it this year. 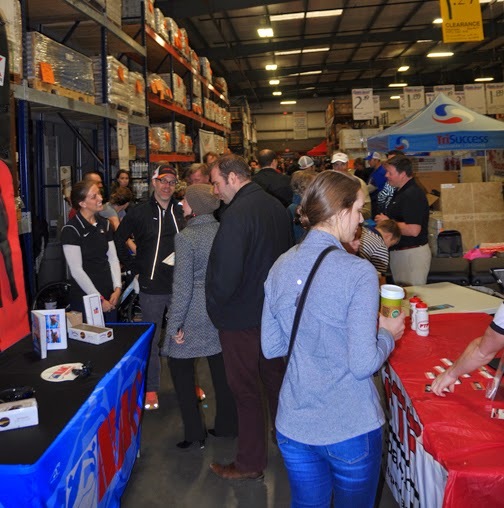 Our plan for the expo is to have an event that brings everyone in the Nashville triathlon community together and kick off the Nashville race season. While the NTC had sporadic expos in the past, we brought it back to life last year and made it an annual event. 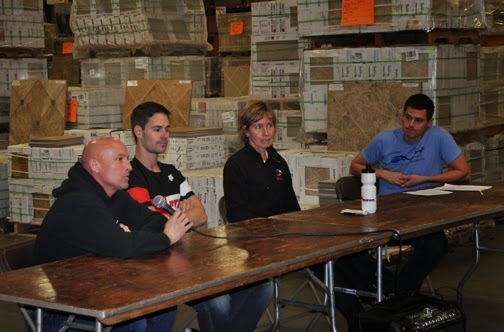 We wanted an event that covered everything triathlon - training, coaching, injury-prevention, upcoming races...a little something for everyone. With almost 40 vendors, we pretty much had all of that covered. 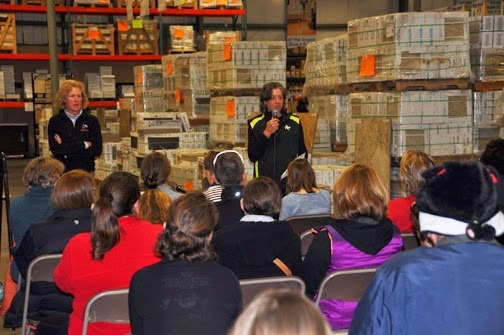 We also had two seminars scheduled - one for beginning triathletes and another for the more advanced athlete. What more could you want? Free stuff? We had that, too! Lots of giveaways from our very generous vendors. I'd been nervous about the expo for the past two months. I'd never put on an expo before, and I really wanted to do a good job. I'm kind of Type-A (a triathlete who is Type-A? REALLY? ), and I have a tendency to obsess over things. This combination generally means that I do extra work to make sure I feel like everything is covered (spreadsheets, anyone? ), but it makes me feel better. Fortunately, I had a lot of help from the board and things went pretty smoothly. There were two things that were stressful. The first was trying to figure out what booths went where. It was like creating a seating chart for a wedding, only without the drunken uncle. Some vendors wanted be next to others, and some had special needs like electricity. Only electricity was only available in one specific area. Then, of course, I had to spread out vendors who were similar to each other so two bike shops weren't next to each other. I spent WAY too long trying to figure all of this out, especially considering we had to pitch about 25% of my floor plan on the day of the expo because the logistics just weren't working out. I probably could have just told everyone to grab a table and set up wherever they wanted. Would have been much easier and had the same basic result. The other thing that was stressful was the fact that we had no idea how many people were going to show up for the expo. It was free to attend, but we it's not like we can ask for RSVPs or anything. We had almost 40 vendors there! What if no one showed up? Fortunately, I didn't need to worry. Everything worked out great, lots of people showed up and the expo was a HUGE success. Phew! Here are a few pics. The Timex had some really cool watches. Caroline (TriSuccess) and Faye (Team Magic) at the Triathlon 101 panel. Brad (X3 Performance), Andrew (FTP Coaching (and my coach!)) and Kathleen (TriSuccess) on the Taking it to the Next Level panel. NTC President Wes (far right) was the moderator. Thank you so much to all of our vendors and participants who came out on Sunday. 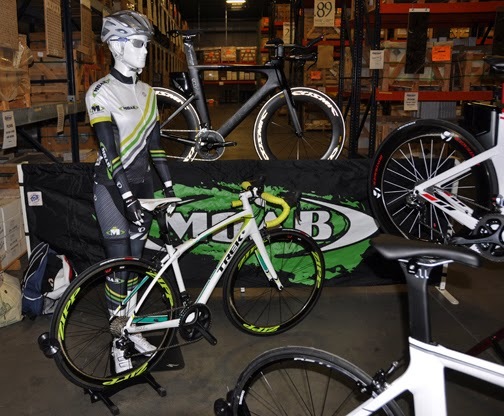 And a HUGE thanks to David at Buy Floors Direct, who generously donated his store for our event. I, additionally, want to thank the NTC Board for all of their help. It was a lot of fun, but I'm glad it's over!! On a different note - the weather has been awful here in Nashville this week. Freezing temperatures, some snow and A LOT of ice. In fact, we had an ice storm that literally shut down the city for two days. The Mayor called a Stage of Emergency and everything. While I'm generally OK with exercising outside when it's cold, I'm not about to risk injury by running on two inches of ice. I'm being literal here. We have two inches on ice on our driveway. We can barely make it out of the neighborhood - forget about making it to the gym. We're supposed to get more snow tomorrow before finally getting above freezing on Saturday afternoon. So, I'm stuck with the bike trainer and floor exercises for the week. I know that our storm is nothing compared to the 6-7 FEET of snow that Boston has right now, but that's why I don't live in Boston. I hate cold weather and I'm kind of losing my mind. Come on, Spring! Have you ever come across a deal that was so good, that you couldn't really pass it up? Even if it wasn't particularly something you needed or, in my case, needed to do? 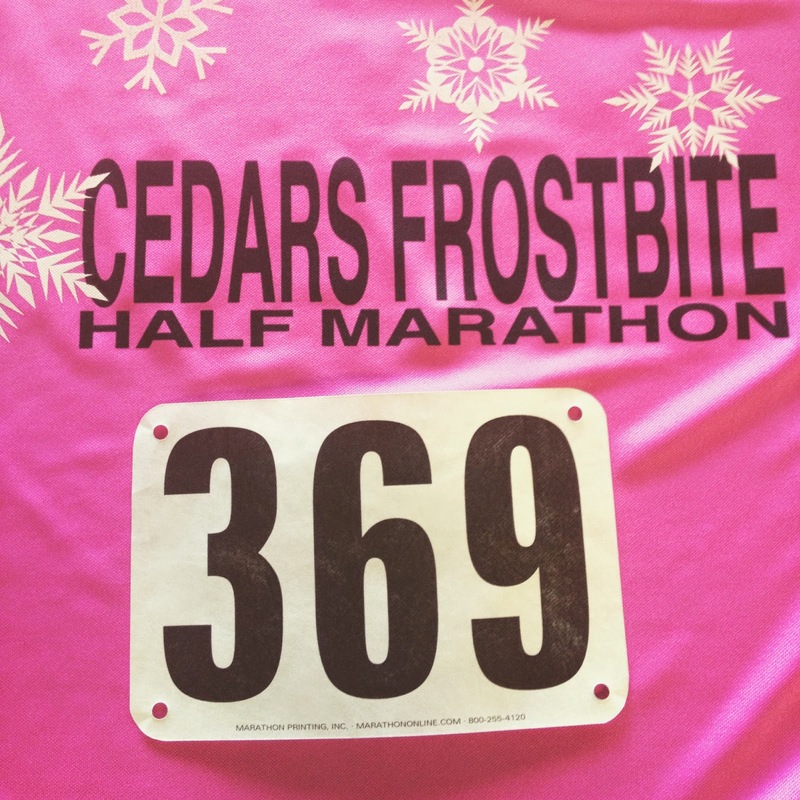 That's basically how I ended up running the Cedars Frostbite Half Marathon this past weekend. Not that Frostbite Half wasn't a great race. It was. However, with me just coming off the Mississippi Blues Half a few weeks ago, I wasn't really prepared to race this. Sure, I could complete the distance, but I knew going into it that I probably wouldn't be at my peak performance. But the race was only $8, so I signed up. That's right -$8!! That's insane for a half marathon! I wanted to sign up just so I could say that I raced a half marathon for $8! Unfortunately, I blew that particular great deal by choosing the option to get a race shirt. But even with the shirt, I only paid $20. $20!! Considering most half marathons are over $100, that's an amazing deal. 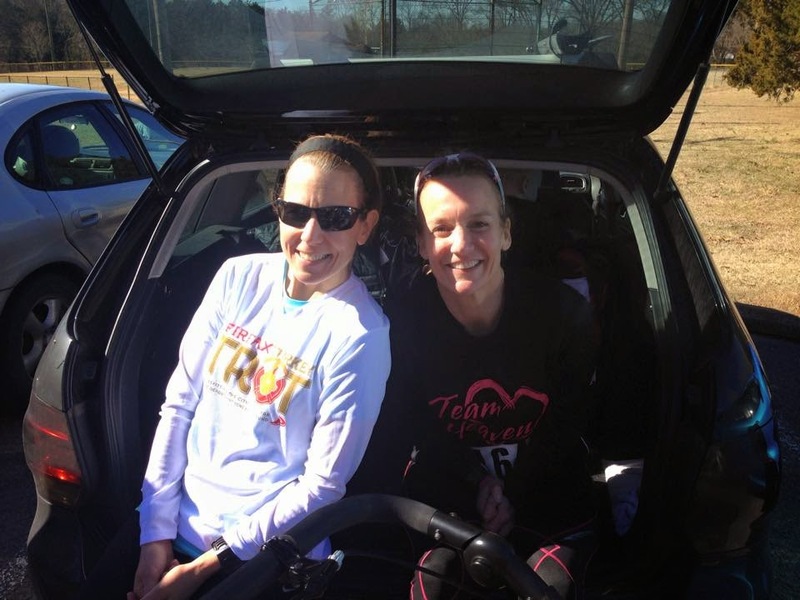 Kathy, one of my favorite training buddies, was also racing, so we met up on Saturday at the very civilized time of 9:00 am to drive the 45 minutes to Lebanon. Oh, how I love Winter races and their late start times! This one didn't start until 11:00! It was fantastic. 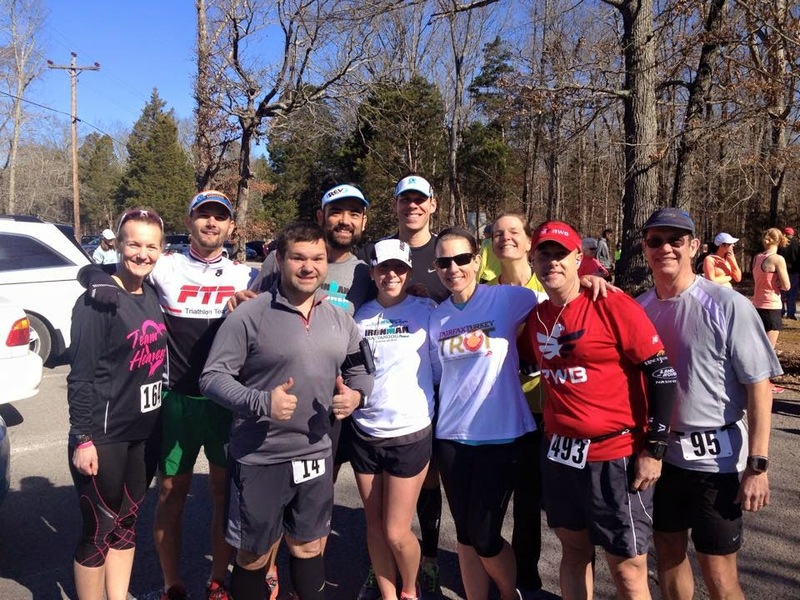 Once we got to the race site, we were easily able to find friends and our FTP Teammates and hung out a bit. It's funny because during peak training, I would see these people several times a week. But we all started to do our own thing after IMCHOO. It was really good to see everyone again. Coach Andrew said that if I woke up feeling fantastic, I could go ahead and actually "race." And that was what I was planning on doing. Kathy is training to qualify for Boston and was using this race as a warm-up. My original plan was to try to stay with her for the race. She'd drop me for sure, but I wanted to see how long I could hang with her. It would be a good workout for me. Unfortunately, when I woke up race morning, I knew this plan wasn't meant to be. While I didn't feel horrible, I didn't feel great. I was really sluggish and had a sore throat. By the time I met up with Kathy, the sore throat had gone away, but I was still REALLY tired. Even right up to the race start, I was joking that I couldn't believe I was going to run 13.1 miles in a few minutes. Even though I have raced that distance 24 times previously, the idea of running that far that morning didn't seem possible. If there had been the opportunity to switch to a shorter distance that morning, I absolutely would have done it. Alas, that option wasn't available, so at 11:00 off I went. With no real game plan, I just ran to be comfortable. This was good because I really had to pay attention to where I was going. This course ran through the Cedars of Lebanon State Park, which was beautiful, but had a lot of uneven surfaces. The asphalt was pretty torn up with a lot of potholes and had some sketchy metal bridges. Then we had to run off-road for a while, which had gravel and puddles. I twisted my left ankle (my weak one) three times within the first five miles. Not badly, obviously, but enough that I was a bit more careful running than I usually am. The race itself was pretty uneventful. It was a beautiful day, especially considering it was early February. But the race was small, so there weren't any crowds lining the course with funny signs. Well, OK - I think is did see two signs. Anyway, it was hillier than I had been told, but looking back, it was stupid of me to not have expected hills considering the location. Tennessee state parks are hilly. I finished the race in about 2:06. No where near my PR of a few weeks ago, but an OK race for what I had going on that day. I feel even better about it considering I went home and took a nap and really didn't get back up until Monday afternoon. Turns out, I wasn't just sluggish on race day - I was sick. Nothing big fortunately, just a head cold, but it wiped me out for a few days. Tonight (Wednesday) was actually the first night I was able to do any kind of exercise since the race. I'm not really sure what I have coming up next. My next official race is Chattanooga 70.3 in May, but I'll probably try to get another half marathon or two before then. We'll see. One of the fun things about not doing an Ironman this season is that I can be a little more flexible about my races. If anyone has any suggestions, please let me know!